The Abyss – a huge, multi-level pit with the cursed power to strip away a person’s humanity as they ascend from it’s depths. Full of unimaginable monsters, impossible geography and incredible and powerful artefacts. 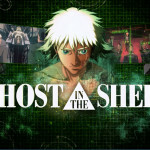 In a town named Orth just above the edge of the Abyss, young orphan girl Riko trains to be a Cave Raider like her mother before her – those who venture into the Abyss seeking fame and fortune, but when a trip to the first layer of the Abyss goes wrong her life is saved by an amnesiac robot boy named Reg who can blast fire and extend his arms. 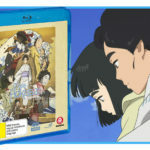 When Riko is later presented with a sealed letter from her mother, who vanished in the Abyss 10 years earlier and is presumed dead, stating she’s waiting for her at the bottom of the Abyss along with drawings that resemble Reg, the two resolve to venture beyond the first and least dangerous layer of the Abyss and find the truth about Riko’s legendary mother, a White Whistle Cave Raider – the highest and most accomplished level of raider. 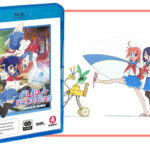 The series, animated by Kinema Citrus and based on the manga of the same name by Akihito Tsukushi, is instantly disarming with it’s young cast of orphans with their incredibly distinct, cute designs and slow paced start as we come to know the precocious bespectacled Riko, absolutely fascinated by the Abyss and the treasures within and completely gung-ho about becoming a cave raider like her late mother. Reg forms the other half of our young duo, and when he is ‘retrieved’ from the Abyss after saving Riko from a monster with his Incinerator cannon he becomes another of the cave-raider-in-training orphans until the two devise a plot to sneak off into the Abyss to find Riko’s mother Lyza and what she might know about Reg. Each of the Abyss’ seven layers is its own distinct environment, and as the two venture deeper into the Abyss, so too does the reality of their situation become more grim, with each subsequent layer presenting a harsher challenge. 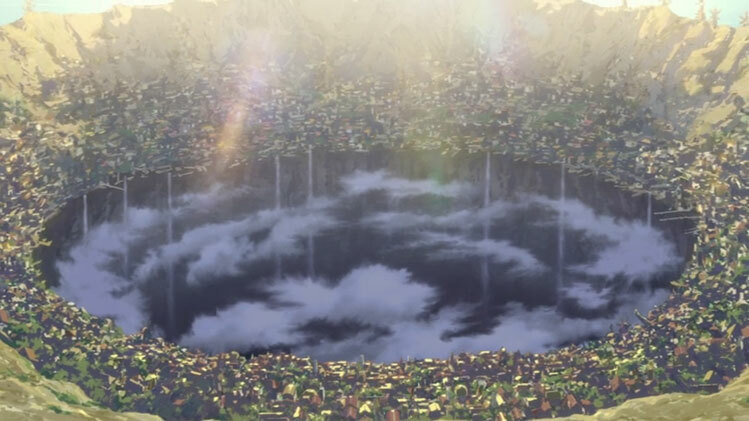 In the second layer the pair meet White Whistle Ozen – a friend of Riko’s mother in charge of the Seeker Camp, a refuge for cave raiders in the Forest of Temptation, as this layer is known. Ozen, fulfilling a promise to Lyza, puts Riko through incredibly brutal and intense training, and it’s at this point it starts to sink in that this series is not as comfy as first glances may have us believe. 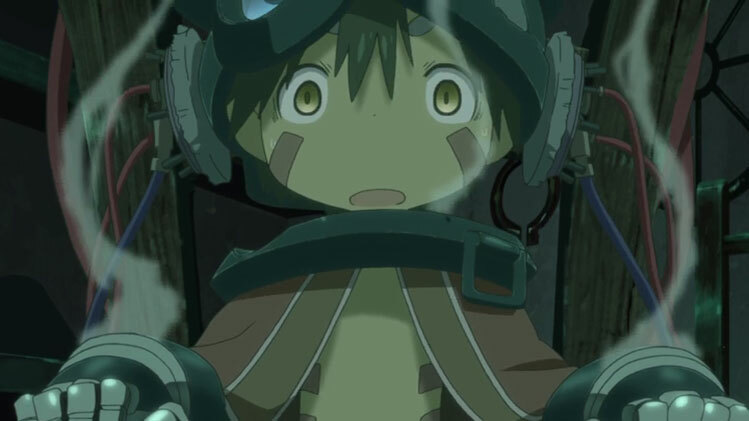 Made in Abyss’s cute, wide-eyed and hopeful character designs completely betray the brutal reality of the Abyss as Riko and Reg descend, and as the series wears on we watch them endure some truly horrific and brutal situations. Only after the two make it to the fourth layer meet the adorable humanoid bunny-creature Nanachi and their misshapen companion Mitty does the true horror of the Abyss really set in, not only with the situations Riko and Reg find themselves in, but also in the backstory of Nanachi and Mitty which is later told through flashbacks. Made in Abyss packs some truly grim, shocking and utterly heartbreaking moments. 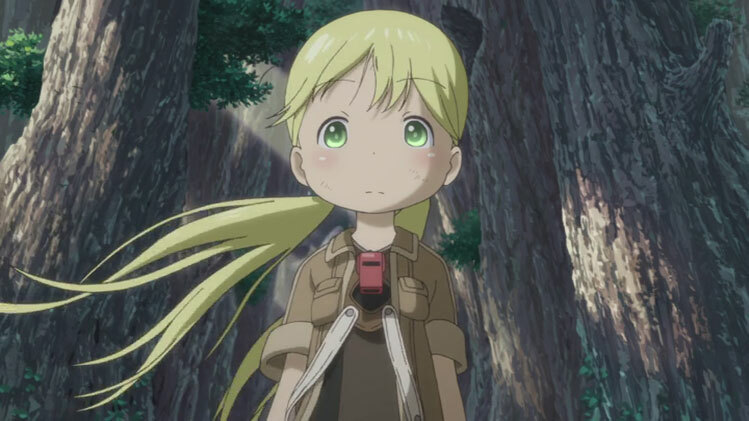 Despite all this, Made in Abyss never falls into being utterly bleak – it always remains a story of hope for our young cave raiders. 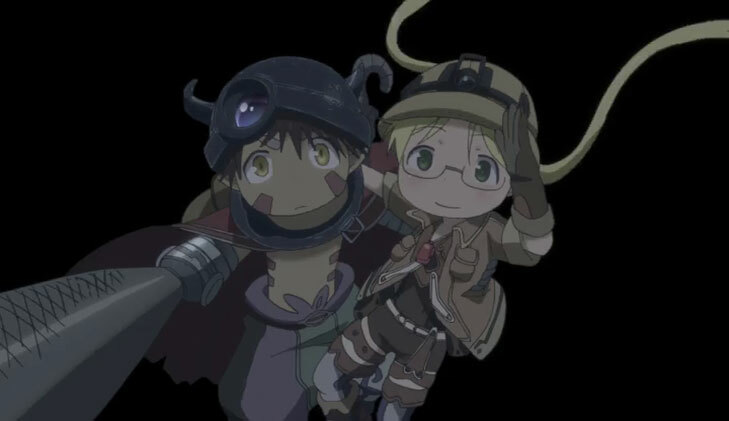 Riko and Reg are undoubtedly our stars, and they’re very likeable and well fleshed out as the series progresses, but the world of this series is alive with an expansive supporting cast and rich lore around the Abyss itself that instantly leave you wanting to know more about the Abyss, it’s treasures, it’s curse, the cave raiders and ultimately about Riko and Reg themselves as they quest ever-downwards in search of Lyza, learning more about themselves and their world along the way. 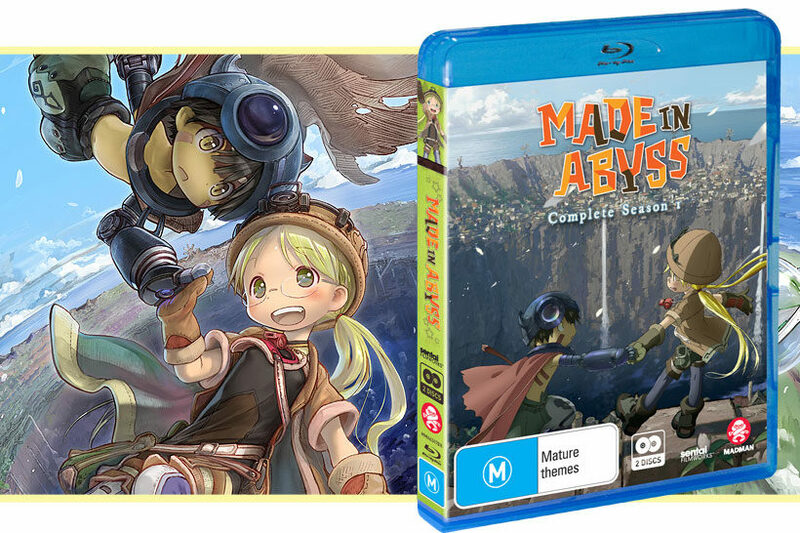 There’s so much more that could be discussed about Made in Abyss, but really, just go watch it. Now. Go on. Shoo. 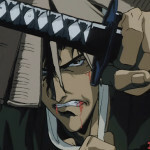 Then join me in wishing there was a second season to watch right now. It’s cute, funny, brutal, horrible, heartbreaking and hopeful, all in equal measure and all in the best way.